I like using Moviestorm a lot, to make machinima style movies. It comes with several stock actors, props and sets, tho you can build your own props and textures using sketch up or blender, and import them for use in your films. It comes with lip syncing, set editing area, actor 'dressing room' where you customize your actors to an extent, and even comes with a rendering system and film editing room included in the base package. This can be great for adding characters to your games, or making background sets and scenes, and cut scenes in between action for your games. if you use it, make sure your graphics cards are updated, and the first time you use it, you'll need to register for free at their forum, but after that you can use Moviestorm offline with no trouble. I'm a member there, and they do not spam you with anything. Moviestorm is a great piece of software that I've been using for a while now for an upcoming project. I highly recommend it to everyone! Wow really? Seems I have to get it and try it, already two positive votes about it. Thanks bg38 for posting this! I do most of my stuff from scratch the long way but wouldn't mind knowing about apps that can help with short cuts. Btw, what render output formats does this software support? I went to the site but couldn't find any info on any of the spec pages. You have to see this guy's work with MovieStorm! It's incredible! 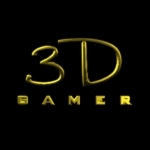 @ 3dgamer ; you can render avi, wmv , jpg, bmp stills as well. theres a codec tab where you can choose various outputs as well. reneuend wrote: You have to see this guy's work with MovieStorm! It's incredible! Thanks for posting this, Reneuend. I like the camera movements that this director uses. 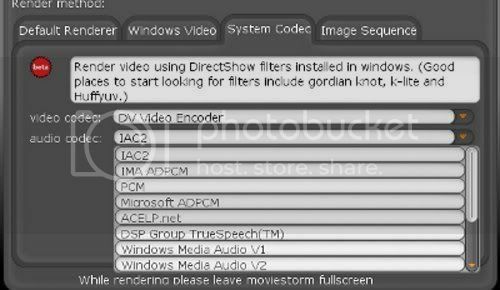 I think that the Moviestorm developers really "Aced" that aspect of film making for this software. The lighting is nice to and some of the rendering almost looks photorealistic. I'd like to see where they are in a couple of versions. Very nice! bg38 wrote: @ 3dgamer ; you can render avi, wmv , jpg, bmp stills as well. theres a codec tab where you can choose various outputs as well. Thanks for the info on this, bg38...that really helps! I may have to wait to get it, though. It seems that it needs a huge amount of space as a minimum requirement. Maybe 5-10 GB is not a lot of space for some but I oftentimes operate so close to my HD limit that 5GB is a luxury for me. But I think when I do get some space freed up again, I will take a look at downloading it. OK I downloaded this and created a really cool character....I'm just wondering how I go about adding my characters to my AM games? First of all, you need to know that AM is basically a 2D game creation software. However, sort of 2.5 D games can be created with it by using the 3rd person plugin (using plugins requires the full version of Adventure Maker). Very nice information! Thank you for sharing this to us. I'm not successful at first attempt so maybe I would definitely try again. Just want to know why it freeze in the middle but maybe I should go read it once again and do it slowly but surely.